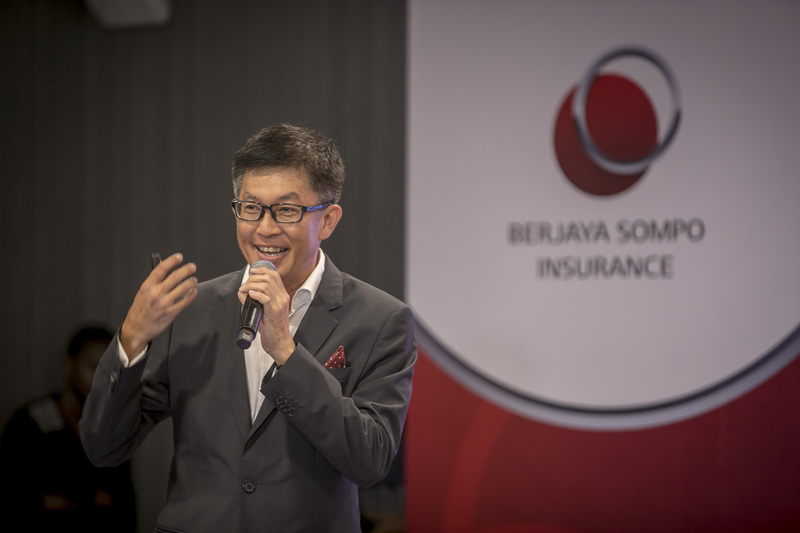 Berjaya Sompo Unveils Integrated Approach – Top 5 General Insurance Provider By 2020 Targeted! October 30, 2018 Chris WeeLeave a Comment on Berjaya Sompo Unveils Integrated Approach – Top 5 General Insurance Provider By 2020 Targeted! 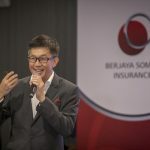 Berjaya Sompo Insurance Berhad (‘Berjaya Sompo’), a renowned general insurance provider in Malaysia announced its plans recently to become one of the top five general insurance providers in Malaysia. The brand aims to achieve this by developing a detailed growth agenda with key focus areas identified. With a growing network of 20 offices and 2,800 agents nationwide, Berjaya Sompo is committed to being the leading insurer of choice by providing quality solutions and world class services in the best interest of its customers. Berjaya Sompo’s latest thematic brand campaign, called ‘Silent Guardians’ is a unique take on storytelling about how Berjaya Sompo aims to foster closer relations with all its stakeholders, leveraging on the brand’s Japanese heritage and history, from Japan to the world since 1888. Berjaya Sompo is raising up its army of heroes through its ‘Silent Guardians’ via the use of Japanese warriors, ninjas, samurais, sumo wrestlers, karatekas, and kendokas – protecting Malaysians everyday, even without realising. The thematic brand campaign incorporates unique humour to highlight the importance of being insured so that Malaysians are able to live their daily routines freely, without a worry. 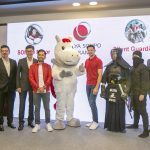 Recently, Berjaya Sompo introduced its latest and adorable mascot, Sompony. The brainchild of Berjaya Sompo’s parent company, Sompo Holdings (Asia) Pte. 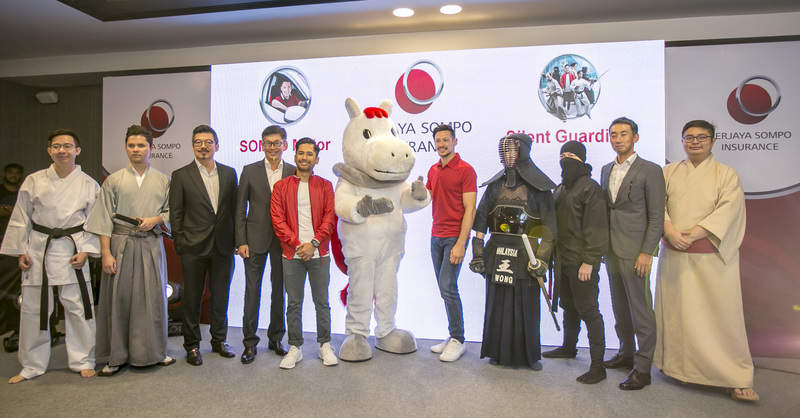 Ltd. (‘SOMPO’), Sompony is a hero, helper and trustworthy companion that Malaysians can count on to guide them as they navigate through Berjaya Sompo’s products and services. Used across its markets in Malaysia, Indonesia, Thailand and Singapore, Sompony was created to reshape how the brand connects with consumers in a more human, light-hearted and relatable manner. Sompony adds value to SOMPO with successful character building. It helps internal stakeholders and agents in their storytelling efforts as they educate customers and explain about the unique products and services that Sompo offers. 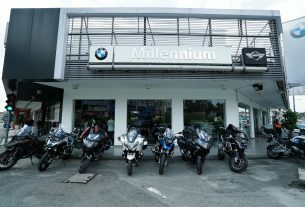 Understanding the consumer mindset which changes over time, as well as in response to recent developments regarding motor detariffication in Malaysia, Berjaya Sompo evolves accordingly and continuously looks at ways to innovate and develop solutions that meets the needs of today’s consumer. One example of this: the all-new SOMPO Motor. SOMPO Motor is a comprehensive motor insurance for car owners which reduces the overall add-on costs without going through the tedious task of including add-on benefits. Further, it has add-on benefits that provides a peace of mind to drivers which include better coverage for older vehicles and full coverage against natural disasters. Emergency towing cost of RM300 following an accident. “SOMPO Motor has reduced the hassle of going through commonly included add-ons for a comprehensive private car insurance by including them in the basic benefits. New add-on benefits also include better coverage for older vehicles and full coverage against natural disasters. 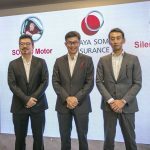 We welcome the implementation of motor detariffication as it enables Berjaya Sompo to compete on a level playing ground, giving the spotlight to the true hero: SOMPO Motor. With this product, our main focus is enhancing the base level features and service level. We want to ensure we have a product that our customers find useful and beneficial,” said Mr. Stuart Chua, Chief Distribution Officer of Berjaya Sompo. Consumers may also opt for new additional benefits such as full special perils coverage, unlimited towing costs within Malaysia, and waiver of betterment for vehicles up to 15 years. Another new feature of SOMPO Motor is that it provides consumers with the option to choose the Voluntary Excess of the Policy, ranging from 0% to 3% of the sum insured. Voluntary Excess of the Policy gives consumers the option to pay out of their own pocket for each claim, up to 3% of the claim amount, in exchange for a lower premium each month. 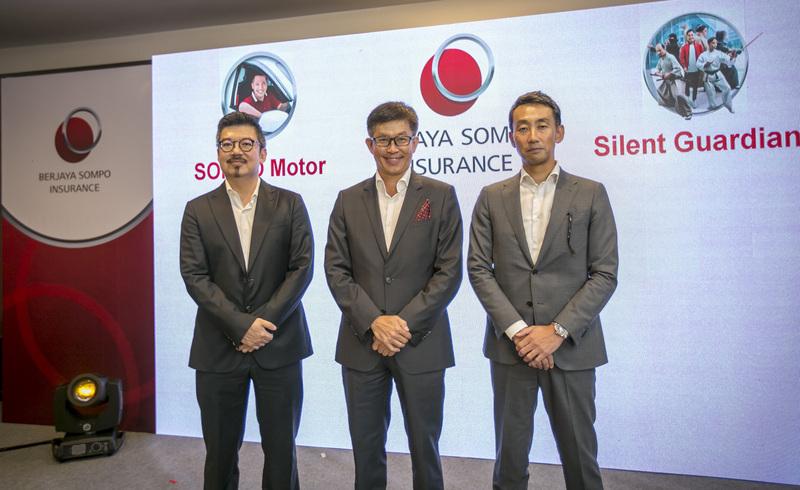 In addition, Berjaya Sompo is collaborating with esteemed car brands such as Honda Malaysia, Mazda Malaysia, and Nissan Malaysia to provide bundled insurance packages that are tailored to the needs of car owners. In today’s digital-first world, consumers are now expecting and consuming information faster than ever and we need to constantly innovate to stay ahead. Understanding the consumer mindset, Berjaya Sompo has taken major strides in activating digitalization across the company via a number of key initiatives, including: online product innovation, increasing digital distribution channels, introducing new B2C channels as well as strengthening its digital infrastructure. As for brick and mortar stores, Berjaya Sompo has opened a new branch in Petaling Jaya in 2017 and another one in Seremban in September 2018. Beyond this, it has no further plans to increase its branch network – in accordance with Berjaya Sompo’s digital-first approach. 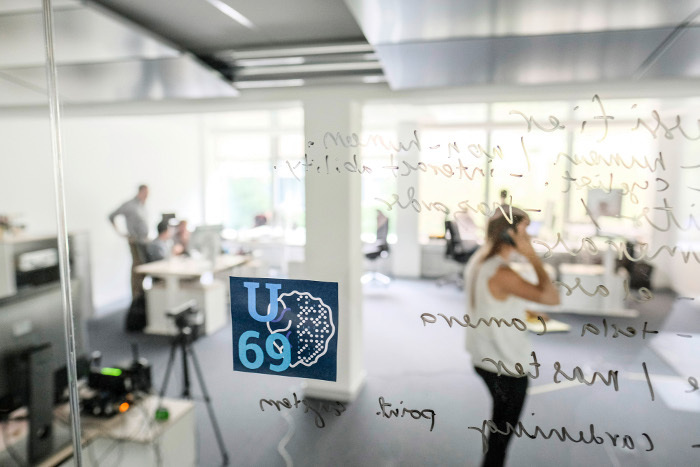 “We are confident that with on our digitalization journey, we can service our customers from any of our current locations, regardless of distance. Furthermore, we anticipate more and more clients moving online to buy, renew and claim insurance in the coming years, hence dependency on physical storefronts will reduce,” added Mr. Tan. For Berjaya Sompo, building the capabilities of its internal talent pipeline is key. This will ensure that the workforce is motivated and driven to establish customer experience as the number one priority in becoming the preferred insurer, working towards achieving customer excellence. “Internally, we have various development programmes in place for all levels of our workforce that provides training and practical skills for not only work-related tasks, but also developing intrinsic skills that will shape them for long-term advancement,” said Mr. Tan. With these plans in place, Berjaya Sompo is fully committed to growing in and with Malaysians, especially at this historic era of Malaysia Baru. 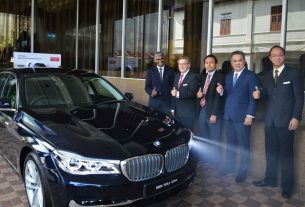 As the brand works towards not only fulfilling but exceeding the expectations of its stakeholders, the brand is confident about fulfilling its aspirations of becoming one of the top five general insurers in Malaysia, contributing to the Malaysian economy and serving Malaysians nationwide. Avis Malaysia Celebrates 46th Anniversary – Offers 46% Savings + Contest!